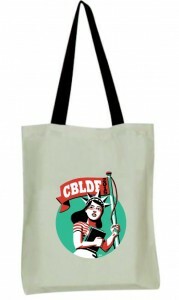 Remember CBLDF in Your Year-End Giving — Become a Member Today! 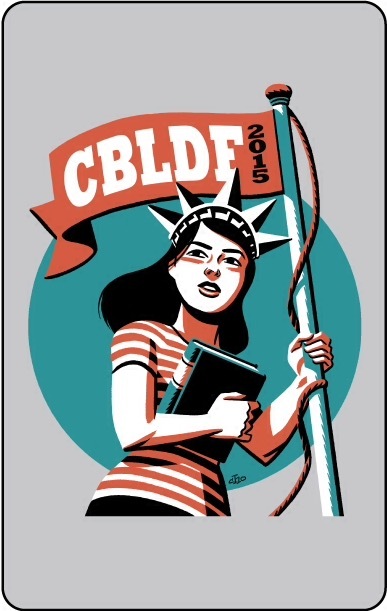 All year round, CBLDF works hard to protect the right to read. This year saw the most attacks on the freedom to read comics in a generation, including calls to ban graphic novels in schools and libraries, threatened legal actions, and unconstitutional legislation that endangers the rights of readers, creators, and retailers. CBLDF responded to all of these threats with timely direct assistance, expert legal action, and a deep, prevention-minded education program. We can only do this work because of the generosity of our supporters. 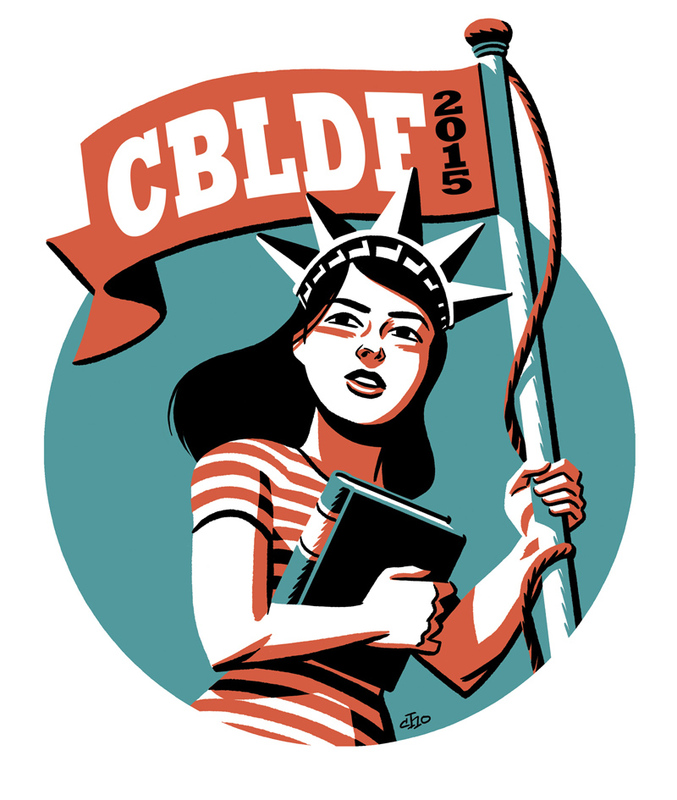 Today, we’re asking you to help us continue this important work in 2016 by making a tax-deductible donation to CBLDF! We had a very busy 2015. We addressed more than 24 attempts to ban books, including the comics Drama, This One Summer, The Sandman, Fun Home, Palomar, The Graveyard Book, Persepolis, The Diary of a Teenage Girl, Amityville: Jr. Graphic Ghost Stories, Y: The Last Man, and others. We provided legal support to individuals and businesses-facing First Amendment emergencies. We fought laws that infringe on free expression, including a dangerous Louisiana age-verification law and a petition to the Supreme Court seeking to establish a consistent right of publicity standard. We also expanded our education and awareness building efforts with the launch of CBLDF Defender, our quarterly news magazine; our sponsorship of Banned Books Week; and our extensive program of public events and online resources, including the brand new CBLDF Comics Connector. CBLDF does all of this work — and more — with a small dedicated staff. To learn more about CBLDF’s accomplishments in 2015 and how your contributions are used, please take a look at our annual report below. One of the best ways you can support our work is by becoming a member! 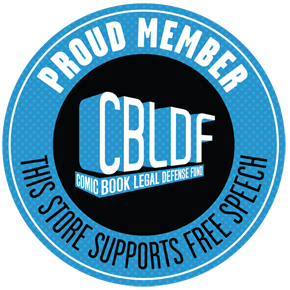 Being a member in CBLDF helps us two ways: 1) it provides us the financing we need to perform our mission, and 2) it creates strength in numbers and legal standing when we bring suit against an unconstitutional law or take other action to defend the freedom to read. 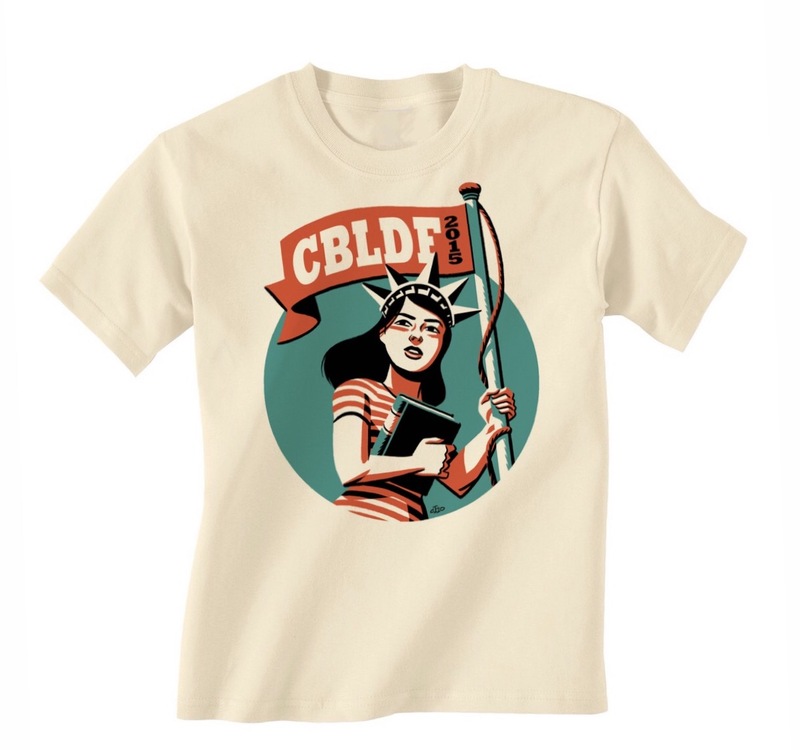 The standard level for membership includes the CBLDF membership card, and an EXCLUSIVE MEMBER-ONLY t-shirt, featuring the art of Michael Cho! This shirt is printed on organic cotton, available ONLY to Members. 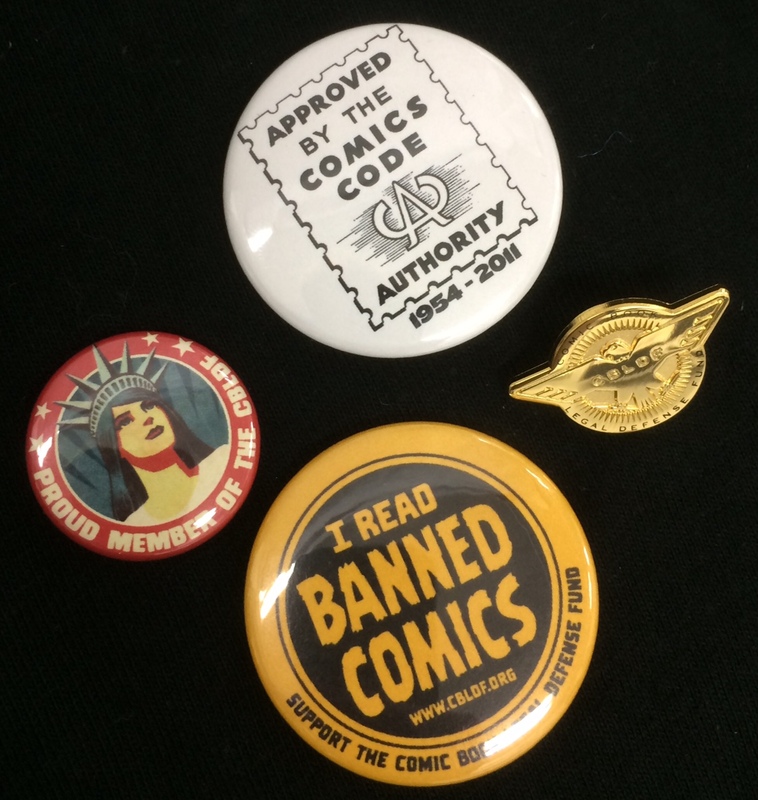 You will also receive a button set, featuring our member button and more, and a sticker set, which includes an assortment of high quality CBLDF stickers! Finally, you’ll get a fully-embroidered member patch, featuring the classic CBLDF member logo! 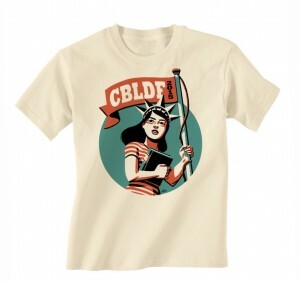 At this membership level, donors receive the CBLDF membership card, featuring artwork by Michael Cho, and a CBLDF bumper sticker! 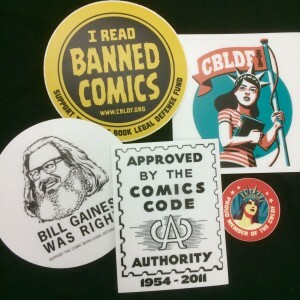 CBLDF Supporter Members receive the CBLDF membership card and the CBLDF button set, sticker set, and member patch, featuring the classic CBLDF member logo! As a Defender Member, you will receive the awesome CBLDF coffee mug, featuring the 2015 member logo, and 2015 member canvas tote bag, perfect for storing the comics and graphic novels you have helped protect! 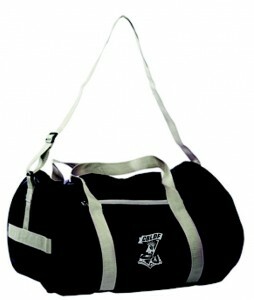 YOU WILL ALSO RECEIVE: The EXCLUSIVE MEMBER-ONLY t-shirt, button set, sticker set, and member patch! As a Protector Member, you will receive an exclusive CBLDF embossed executive Moleskin journal and a CBLDF gym bag! YOU WILL ALSO RECEIVE: The EXCLUSIVE MEMBER-ONLY t-shirt, button set, sticker set, member patch, canvas tote, and coffee mug! As a Champion Member, you will receive recognition in the next LIBERTY ANNUAL, as well as the CBLDF 2015 publication assortment, including all educational publications, variant covers, Liberty Annuals, and assorted printed matter! YOU WILL ALSO RECEIVE: The EXCLUSIVE MEMBER-ONLY t-shirt, button set, sticker set, member patch, canvas tote, coffee mug, gym bag, and CBLDF executive Moleskin! As a Guardian Member, you will receive all of the previous, as well as special recognition in select publications throughout 2014! Membership also includes a member-exclusive rates (or complimentary at every membership level above Defender) for a subscription to the CBLDF Defender, a quarterly news magazine coming to you from the front lines of the fight for free speech! Each issue of CBLDF Defender will bring engaging creator interviews, detailed analysis of current censorship news, and in-depth features that tell the story of the people fighting for the freedom to read! Independent comic book, manga, and book retailers are a vital part of today’s comic book culture. Unfortunately, they are also often the first to be attacked when censorship rears its ugly head. Since CBLDF was founded in 1986, retailers have been among the Fund’s strongest supporters, and retailers perform a valuable service by providing comics to their local communities and educating consumers. They’re also among the first to support their brethren when they come under attack, and many are doing so as Retailer Members of the Comic Book Legal Defense Fund. Sign up your store to be a member! Join the Fund today and receive special rewards that tell your customers you’re fighting the good fight. You’ll get exclusive comics, signed prints, and more as a thank you for your support! “FREE SPEECH IS WORTH FIGHTING FOR” 24″ by 30″ poster by comic superstar Cliff Chiang. If you’re a leader in the graphic novel industry, then you should be a corporate member of the Comic Book Legal Defense Fund. 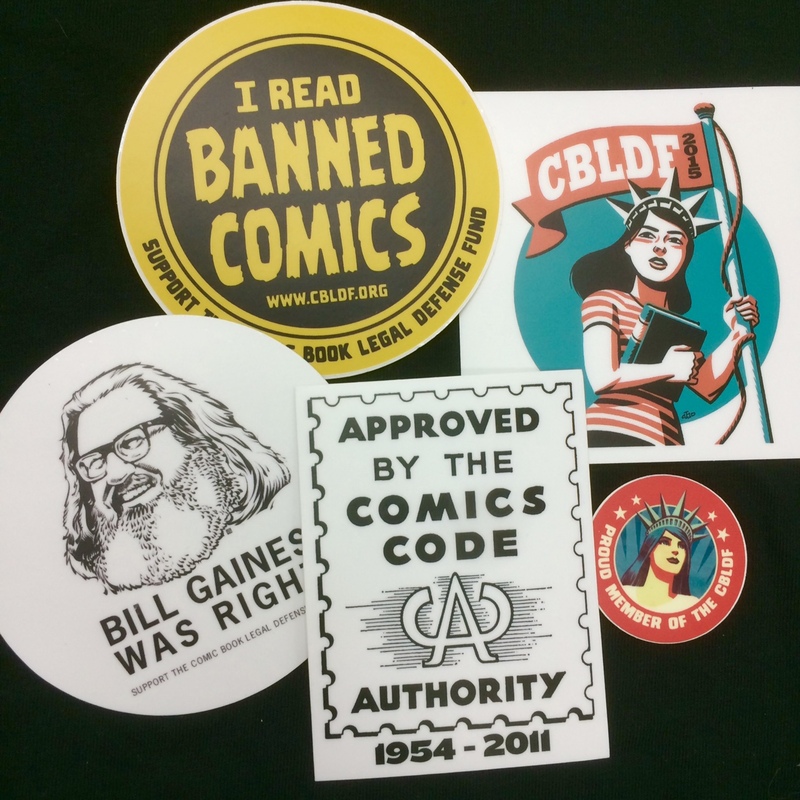 CBLDF’s corporate members recognize that the First Amendment is the cornerstone of our business, and their efforts support CBLDF’s important work to protect those rights for the comic book, manga, and graphic novel industries. Corporate members are listed on the CBLDF website, in all of our publications, and on event signage. They also have first access to partnership opportunities throughout the year. To learn more about the benefits of Corporate Membership, please contact Executive Director Charles Brownstein at Charles.Brownstein@cbldf.org. CBLDF is classified as a 501(c)(3) not-for-profit organization by the Internal Revenue Service, and donations are tax-deductible in the year they are given. Please consult with your tax advisor to determine the full extent to which your donation is deductible. Thank you for helping CBLDF do our important work! Please help us to continue, and to do even more in 2016 by becoming a member or making a donation today!